In a move to expand the reach of in-depth locally based technical and sales support, 360 Vision Technology, the leading UK CCTV manufacturing company, is delighted to announce that it has appointed Pascal Wojciechowski to the role of Business Development Manager for France. Bringing a wealth of high-performance visual imaging experience to his new role, Pascal will be supporting customers across France and French-speaking countries, including Belgium, Switzerland and Africa. 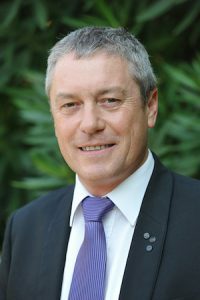 Vastly experienced in integrated solutions for any size or complexity of installation, Pascal is accredited with 26 years working at Sony, where he established the company’s Image Sensing Division’s European HQ, and was responsible for the Division’s routes to market development and sales & marketing growth strategies. Latterly, Pascal has worked to support well-respected companies such as Exavision and Dealpix, to expand their imaging solutions reach. Pascal will be among the 360 Vision team on hand at Security Essen 2018, Hall 5, stand number 5E08.